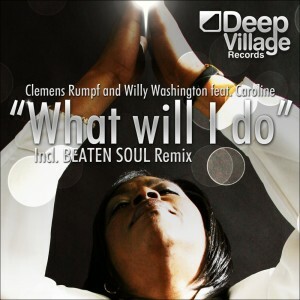 Clemens Rumpf has teamed up with Willy Washington to bring you “What Will I Do” featuring the vocals of Caroline featured on “Can’t Get Away” by Mood 2 Swing & Tom Craft. Deep Village Digital Records will be known for its fresh, funky and soulful electronic music. “I wanted to start something new that builds on what I’ve done,” said Clemens. “My plan is to build my own catalog of music.” Deep Village Digital Records will provide a creative platform for established artists as well as upcoming artists.